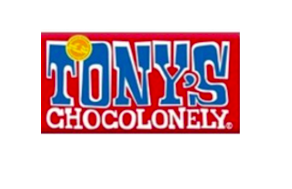 Tony’s Chocolonely (Tony’s) is a Dutch chocolate brand, known for its mission to make the global chocolate chain 100% slave-free. Since 2012, Tony’s has been buying cocoa beans directly from farmer cooperatives in Ivory Coast and Ghana. With the Impact Institute*, Tony’s wanted to understand the impacts of their cacao value chain compared to the sector, to improve labor conditions, income distribution, and living wages. In 2014, the Impact Institute determined Tony’s footprint by measuring and quantifying all the social and environmental costs in their supply chain. Our experts executed a similar exercise for non-sustainable cocoa to create a sector benchmark with which to compare Tony’s performance. In 2016, the Impact Institute made a living income calculation to create a regional benchmark for Tony’s to compare their own chains. These studies provided valuable insights into the opportunities for process improvement within Tony’s supply chain. Moreover, by quantifying the social costs in the cacao supply chain, such as underpayment and child labor, Tony’s were able to adapt their price setting strategies to ensure farmers made a living income. As a result, Tony’s was also able to pay a premium to the cacao farmers to reach the regional benchmark.